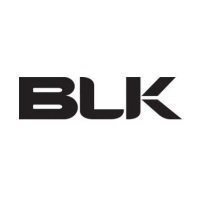 There is a Change Coming in Footy! Read a preview of two of the Round 16 Open Women's matches, written by new SAWFL Administrator, Tess Baxter. National 1 Plumbing Division 1 - Adelaide University v West Adelaide - "A Metre or a Mile?" Read a preview of two of the Round 15 Open Women's matches, written by new SAWFL Administrator, Tess Baxter. National 1 Plumbing Division 1 - West Adelaide v Angle Vale - "Bloods on a Roll"
Read a preview of two of the Round 13 Open Women's matches, written by new SAWFL Administrator, Tess Baxter. National 1 Plumbing Division 1 - Adelaide University v Port Adelaide - "Port to spoil the party?" Join your local female team today! 2016 Season is underway this weekend! 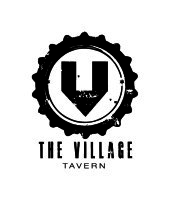 The Village Tavern SAWFL Fixtures 2016 - Now Available! Merry Christmas & Happy New Year from The Village Tavern SA Women's Football League! GET PAID TO KEEP FIT! Umpire with the Ch9AFL and SAWFL! League welcomes Defib Shop as Open Women's Division 2 Partner! League welcomes National 1 Plumbing as Open Women's Division 1 Partner! Salisbury defeat Morphettville Park in nail-biting Under 18 Girls Grand Final! Mount Barker Football Club - Expressions of Interest for Players, Coaches, Sports Trainers and More! Under 18 Girls Grand Final this Friday! 2015 Dutschke Medal Night - Tickets On Sale Now! Salisbury conquer Under 15 Girls Round Robin Tournament! Under 18 Girls Finals Commence This Friday! Open Women's Division 1 & 2 Competitions - Round 1 underway tonight! U15 & U18 Girls - Round 1 tonight! 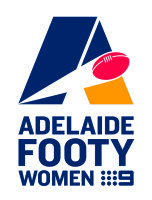 The SANFL has recently announced information on the Women’s Elite Player Pathway. 2015 SAWFL Fixtures now available! 2015 SAWFL Affiliation Form - Part 2 - Available Now! Merry Christmas & Happy New Year from SAWFL! 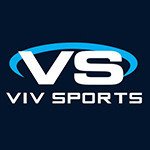 SAWFL's New Licensed Apparel Partner - Viv Sports! 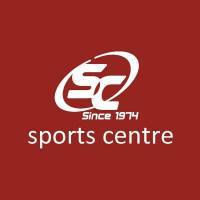 SAWFL's New Licensed Apparel Partner - JS Sports! STARCLUB Program – Register Now! Fundraising Opportunity for SAWFL Clubs! Salisbury conquer Under 16 Girls Knockout Competition! SAWFL Chairman announced as finalist for 2014 Football Woman of the Year! Does your sports club need some new equipment to give it an edge on opponents? Do you have a club member who has an extraordinary talent? Under 16 Girls Competition kicks-off this Friday night! 2014 Under 18 Girls Grand Final this Friday! Open Women's Competition Kicks Off This Weekend! The AFL has released a documentary on the 2013 Women's Exhibition Game! Check it out at the link below and make sure you "Like" it, "Tweet" it and Share it with all your friends and family to get the word out! Under 18's Competition Kicks Off Tonight! SAWFL & CH9 AFL Announce Partnership! Inaugural Women's All-Star Match - Nominate Now! It's that time of year again. The pinnacle of the football season. All of the hard work, blood, sweat & tears amounts to coming out on top with the silverware. 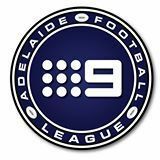 Greenacres WFC, Morphettville Park WFC, Port Adelaide WFC & West Adelaide WFC. Wish to add an exciting prospect to your resume? Want to be involved in growing a strong, prospering Football League? The League is pleased to announce the following players who have been selected to represent SA at the 2013 AFL National Championships to be held in Cairns from 16th to 23rd June. Live streaming of the Youth Girls Nationals from Shepparton will be through the following link. 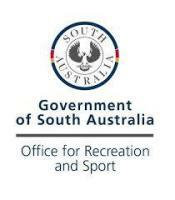 The South Australian Women's Football League is pleased to announce that The Honourable Kate Ellis MP, Minister for Employmnet Participation and Childcare, and for the Status of Women has agreed to be the League's Patron for the next three years. Kate Ellis has held the seat of Adelaide since 2004, when she became the youngest woman to ever be elected to the Austrlain House of Representatives, when she defeated the Liveral Party's Trish Worth to become the Member for Adelaide. In 2007, Kate was elevated to the Labour Government's frontbench as the Minister for Youth and Sport. In June 2008, Kate was given extra ministerial responsibilities, becoming the Minister for Early Childhood Education, Childcare and Youth; and Minister for Sport. Following the re-election of the Gillard Labour Government in 2010, Kate became the Minister for Employment Participation and Child Care and the Minister for the Status of Women. Kate was born in Melbourne and grew up in rural South Australia in the Murrary River town of Mannum where her family owned the local bakery and her mother worked as a teacher in the local primary school. Kate moved to Adelaide for her secondary school education, attending Daws Road High School. She began studying international relations at Flinders University where she was General Secretary of the Students Association and an editor of Empire Times, although she did not finish a degree. A member of the Australian Labour Party, she worked as a research officer for state and federal parliamentarians. She was a ministerial adviser to South Australian state minister Rory McEwen and then for the former Deputy Premier of South Australia, Kevin Foley. Kate is active in the community of Adelaide and hosts regular street corner meetings, mobile offices and community events to ensure that she keeps in close contact and takes up the issue of the residents she respects. She is a vocal advocate of the 'Save the Murray' campaign and her number one priority is being a strong representative for the residents of Adelaide.